We suppose it is very fitting to announce the addition two new flower girl dresses to the Pegeen Fairytale Collection on our Fairytales and Weddings blog! We are really excited to see the new Disney Cinderella movie releasing in March 2015. 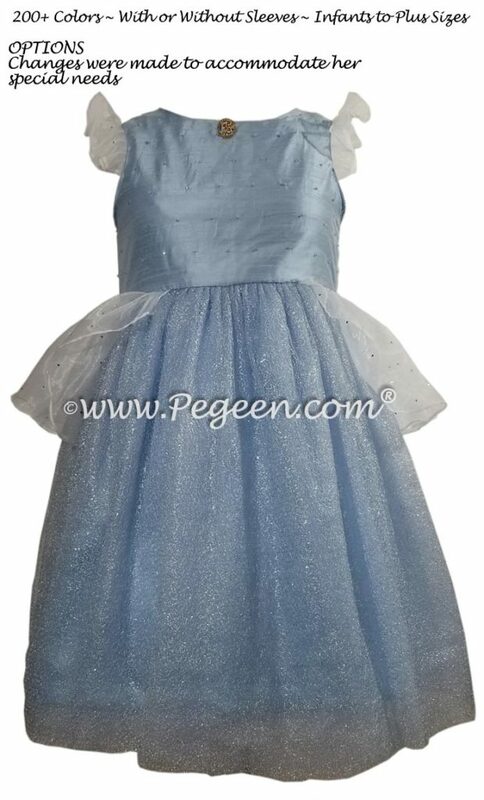 The first of the two styles is fashioned after traditional blue Cinderella colors – we call it the Blue Quartz Fairy, made of silk, and it’s available in any of the 200 colors of silk. 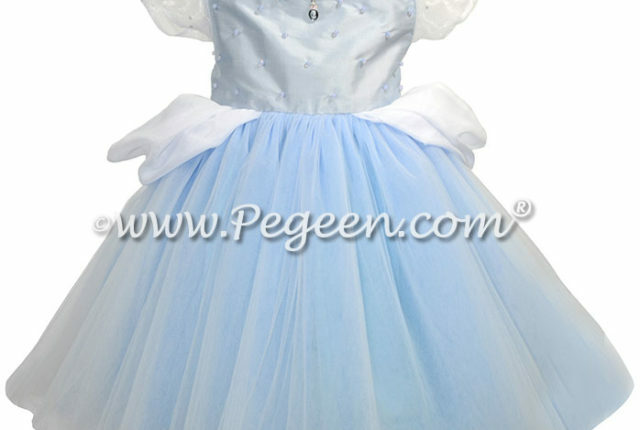 In fact, we already have an order pending for a First Communion Dress! 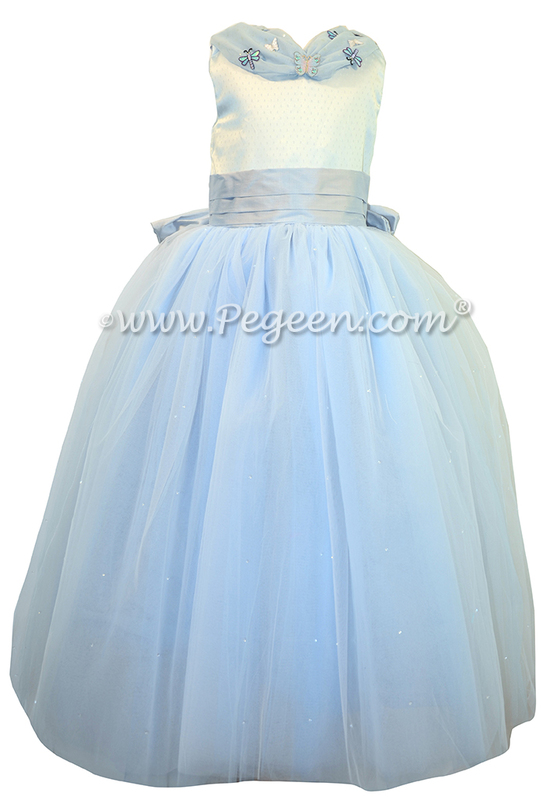 The second dress has some beautiful iridescent organza and multiple layers of tulle. This combination is turquoise though it can be customized to be in any color way. 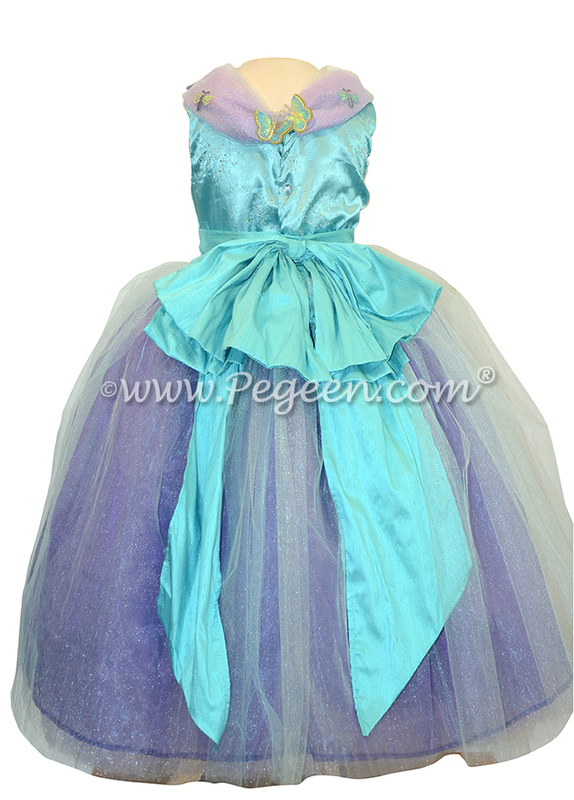 The style is Pegeen Style 912 called The Aura Fairy after the gorgeous rainbow quartz of the same name, and of course, Cinderella. It too includes butterflies in the shawl collar as well as a Cinderella Bow.